Colour: Silver glitter writing on black. Give your home some love with this glamorous Silver Glitter Mr & Mrs on Black. Coming in a variety of set sizes and you can also custom size your purchase. 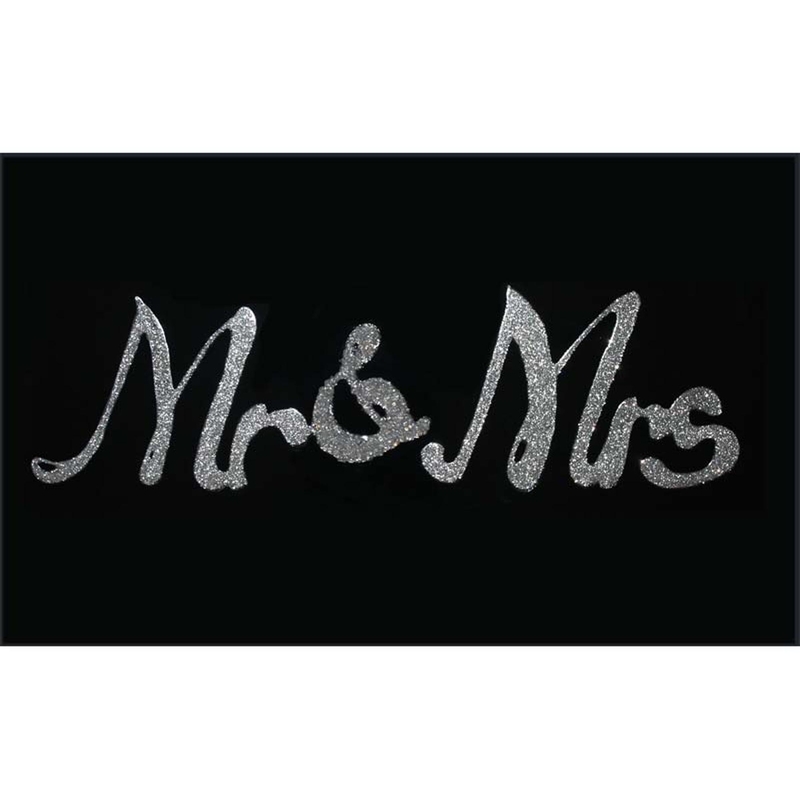 This piece features a black background with 'Mr & Mrs' written in the centre with glitter writing, creating quite a loving and sentimental feel. You wont fail to impress with this design.